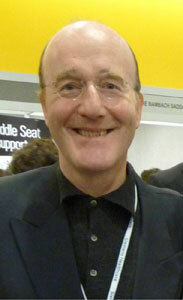 The sudden and unexpected loss of Peter Twining in July 2009 was deeply felt by both friends and colleagues. The tremendous enthusiasm and considerable expertise he brought to his professional field remains well recognised. Very much admired by his colleagues and friends he will be remembered as a very special person who gave so much for the benefit of others and in such an unassuming, genuine manner. His enthusiasm and willingness to help, teach and inspire others in the field of ultrasound was second to none. Peter was an internationally acclaimed clincian with a particular interest in medical ultrasound. He was well known to many in the ultrasound community for his particular expertise in pre-natal diagnosis and general medical ultrasound. As a mark of respect and an ongoing tribute to Peter's tireless work for the Society, BMUS created a 'memorial obstetric lecture'. This lecture is presented by an individual who has made a significant contribution to medical ultrasound in the field of obstetrics. The presenter is awarded the 'Peter Twining Medal' which Hitachi Aloka Medical has sponsored since its creation in 2009. Dr Tim Overton will deliver the 2017 lecture : 'The Future of Fetal Medicine' on Thursday 7th December.